For both men and women, loose skin and pockets of fat in the abdominal region can be frustrating despite efforts to get rid of it. Significant weight loss, childbirth, and aging are the typical reasons why an individual may not be able to reclaim a slim and tight stomach. Skin tightening of the abdomen is a body contouring enhancement that redefines the abdominal region, achieving attractive outcomes for patients. Ashburn, VA board-certified plastic surgeon Dr. Michael J. Brown performs tummy tuck surgery that is based on the condition of the abdomen. This cosmetic treatment at The Loudoun Center for Plastic Surgery allows men and women the opportunity to have a toned, smaller abdomen and more confidence. Read more about how an abdominoplasty can eliminate excess fat and skin while it also tightens the stomach muscles, and contact us to schedule your consultation. "I would do this again in a heart beat. You made the entire procedure very easy and smooth-from start to end. I felt well taken care of every step of the way. I will be recommending you to my friends who are interested in plastic surgery! Thank you!" "Already started recommending the office to others. Greatly appreciative of your professionalism and level of care." Tummy tuck surgery can be offered to both men and women. If you cannot lose or reduce loose or wrinkly skin in addition to pesky pockets of fat in the stomach, this body contouring procedure can help create a slimming and more toned look. Dr. Brown advises you to be at a normal weight before undergoing this treatment. Tummy tuck surgery is not a substitute for weight loss — it surgically corrects loose skin. A form of liposuction is generally incorporated during the procedure to reduce fat. If your abdomen has good skin laxity, but you still are not satisfied with how your tummy looks and feels even if diet and exercise have failed, you may be more suited for liposuction. Women interested in abdominoplasty should be past childbearing to make sure the results are not compromised. 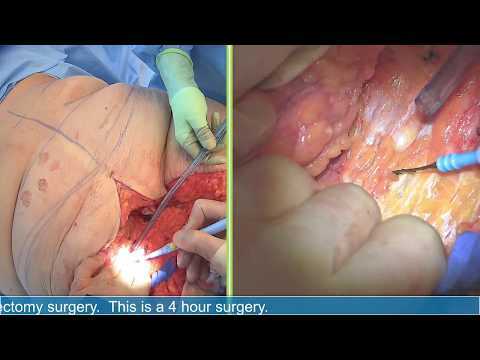 Abdominoplasty is performed with the patient under general anesthesia. There are numerous surgical options that come into consideration when this surgery is performed by Dr. Brown, which is applied to the individual's current condition. To start, the incision shape and size is determined based upon the quantity of excess skin. Some individuals with an abundance of hanging skin might benefit best from an extended tummy tuck. This abdominoplasty technique makes the incision along the lower abdomen from hip to hip, just on top of the pubic zone. A panniculectomy may also be suggested for individuals who have a significant amount of sagging skin on the abdomen and surrounding regions. In a panniculectomy, an incision is made below the sternum, extending to the pubic region, and another incision is made horizontally along the pubic area. This allows for the removal of excess skin and fat from the area. Some individuals who are concerned with minimal skin wrinkling may be better candidates for a less invasive technique. Men and women who receive this treatment still benefit from an abdominoplasty but will simply have a less expansive scar. Regardless of how it is performed, all abdominoplasty procedures at The Loudoun Center for Plastic Surgery involve the excision of hanging skin and liposuction. When abdominoplasty surgery is completed, you will be carefully examined and sent home wearing a compression device to decrease swelling. Standing upright and walking will be hard to accomplish for a while so you should take it easy for several days. Resuming normal movement becomes less painful once the abdominal muscles adjust and the incision heals. You can generally resume a normal routine somewhere around two weeks. Workouts can begin around eight weeks or earlier if you are given permission by Dr. Brown. The midsection will feel some discomfort and tightness, but you will feel healthy and normal again once healed. At the time of your consultation, Dr. Brown will customize your unique procedure plan to reach your unique concerns and goals before estimating costs. He will be able to better estimate your costs as soon as the type of abdominoplasty is decided, which technique will be used, which anesthesia you will need, and other factors. To ensure you get beautiful results from an experienced plastic surgeon, The Loudoun Center for Plastic Surgery makes it easier to afford your tummy tuck by taking several payment methods and giving you information on low-interest financing. 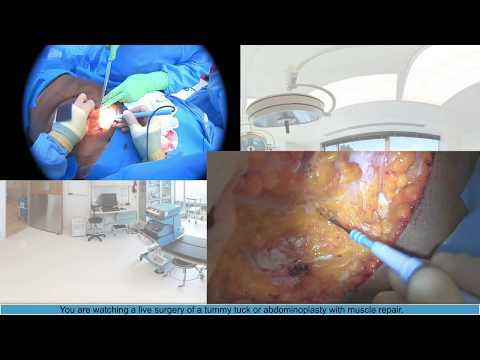 You will probably get one of the three most common techniques for abdominoplasty: full, extended, and mini or a panniculectomy. During your initial consultation, Dr. Brown will listen to your concerns and goals before performing a physical exam. Then, he can help you decide the technique that will produce your best results. A full abdominoplasty is better if you would like to fix loose skin in both the lower and upper stomach, whereas a mini abdominoplasty is better for concerns under your belly button, such as a "pooch." The extended technique can address issues in the stomach, plus your upper thighs and hips. Incisions for your abdominoplasty will vary based on which technique is being used. During all tummy tucks, Dr. Brown uses the thinnest incisions needed to minimize scarring. He also places incisions in areas that are less visible (through the belly button or in the pubic region) so they may be hidden by underwear or a swimsuit. Following your tummy tuck, it is important to adhere to your scar management instructions so your sutures heal properly and eventually blend into your natural skin. Although you may get pregnant following an abdominoplasty, it will likely affect your results. Dr. Brown strongly encourages that you be finished building your family before you get an abdominoplasty. If you do become pregnant following your tummy tuck, another surgery may be done to refresh your stomach. 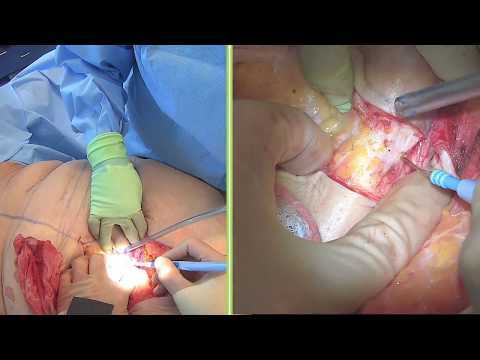 Several patients get a second surgery along with abdominoplasty to see more dramatic results. At your initial consultation with Dr. Brown, talk to him about your desires so a personalized surgical plan may be created to match your aesthetic goals. You might combine abdominoplasty with a thighplasty for a lower body lift or other areas for body contouring. If you want to rejuvenate your body after having children or losing a lot of weight, you might be an ideal candidate for after weight loss surgery or a mommy makeover. A variety of factors can result in a sagging abdomen that leaves behind loose and wrinkled skin. We understand it can be almost impossible to correct — tummy tuck surgery is usually the key to overcome this. If you are bothered by the stretched-out skin in your abdominal region, whether it is significant or not, tummy tuck surgery by Dr. Brown in Ashburn, VA can help you get the body you dream of. We invite you to contact The Loudoun Center for Plastic Surgery for more information.